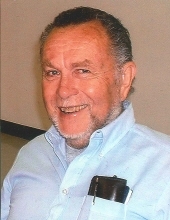 Celebrating the life of John Langendorff, Jr.
Obituary for John Langendorff, Jr. It is with deep sadness that we note the passing of our father, John C. Langendorff, Jr. Born in San Antonio, Texas to John C. Langendorff, Sr. and Ola M. Langendorff on May 30, 1937, John was a life-long resident of Texas where he resided in San Antonio, New Braunfels, and Nordheim. John was a devoted, loving and giving son, husband, father, grandfather, and great-grandfather. John apprenticed as an electrician before becoming a master electrician and he worked more than 30 years in the trades as a member of the International Brotherhood of Electrical Workers. Later in life he took great joy in farming and ranching on his acreage in both New Braunfels and Nordheim. John was also active in the Masonic Lodges, where he was a 50 year member. John was preceded in death by his parents and his wife of more than 30 years, Mrs. Jean E. Langendorff. He is survived by his daughters and sons Mrs. Valerie J. Moore of New Braunfels; Mr. Clay Langendorff of Leesville; Mr. Matthew A. Langendorff of Virginia; and Mr. Tracey C. Langendorff of Nordheim; his grandchildren Ryan Moravits, Samantha Moore, Kelsey Brazle, Johnnie Langendorff, Molly Langendorff, Troy Langendorff, Zoe Langendorff, Kyra Langendorff, Emilee Boudreaux, Cohl Langendorff; and great grand-children Nevaeh, Brody, Corey, Levi, Tansy, Blaine, Addie, Daxton, and Texas – all of whom he took great pride in. The family offers special thanks to Dr. Zwiebach and Rosemary of Texas Oncology for their devoted commitment to our father to better and further his life with us. The family also thanks Crystal and Tamara of Kindred Hospice for the devotion to our father’s well-being in his final days. Lastly, the family thanks Mr. Melvin Nolte who was a special friend and advisor. Visitation will be held from 10:00 AM to 12:00 PM, with the funeral service beginning at 10:30 AM on Saturday, February 2, 2019 at the Lux Funeral Home Chapel. Interment will immediately follow at Bunton Cemetery, Dale, TX 78616. To send flowers or a remembrance gift to the family of John Langendorff, Jr., please visit our Tribute Store. Visitation will begin at 10:00 AM. "Email Address" would like to share the life celebration of John Langendorff, Jr.. Click on the "link" to go to share a favorite memory or leave a condolence message for the family.